Gérard Arnold (Evolbee) wrote an article in the newspaper le Monde 02/06/2019 edition to stress the significance of the new rules for the evaluation of the toxicity of pesticides for bees. This entry was posted on 7 February 2019, in News. This entry was posted on 16 January 2019, in News. 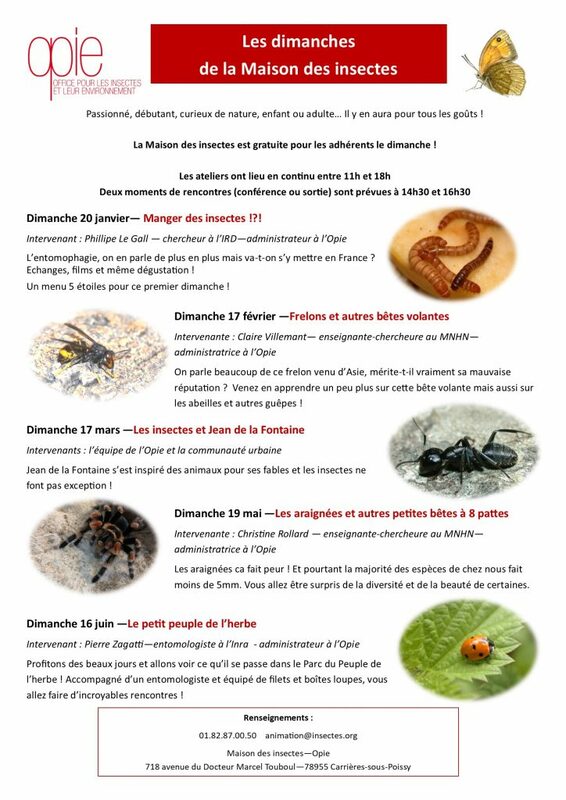 P. Le Gall (DEEIT) invites you to learn about eatable insects Sunday the 20th of January at “La maison des insectes” run by OPIE. This entry was posted on 11 January 2019, in News. Bruno Le Ru (DEEIT) and colleagues published a work on Neogene grasslands. They tested the hypothesis that Neogene grasslands acted as a major adaptive zone for herbivore lineages. They used Sesamiina moths. The work is accepted in Nature Communications. This entry was posted on 5 December 2018, in News.